Composition: 6 DVDS, 3 Training Calenders, Rushfit nutritional guide booklet with meal planner and Rushfit workout guide. DVD set complete duration: over 550 minutes! Now I don’t know about you, but when I think of one of the fittest, athletic, strong and flexible martial artists in the world of MMA – George St. Pierre has always been someone I have held in high regard. This is why today we are reviewing a specific UFC Training DVD called the RUSHFIT Georges St-Pierre 8 Week Ultimate Home Training Program. Like any workout regime program, the results really depend on your level of intent, determination, willingness to learn and effort to train to begin with. But look I love this RUSHFIT Home Training Program, because if you stick to what is suggested in this program you will definitely be in much better shape after 8 weeks of using it. Not only will you be in better shape, but you will understand much more about how to train at the right times and how to fuel your body correctly to stay on top of your athletic game! I’ve always been in good shape, so for me this RUSHFIT training system is similar to many training system I have done before, but still this one really does keep me in top condition. Also I’ve always been into nicely packaged box-sets too, and that’s something I love with this RUSHFIT set, because it really has a nice layout, gives you a lifetime of training techniques as well as an excellent array of items for the price you pay to keep you on top of your fitness. GSP is such a successful fighter, a successful businessman and successful man with women, so you know what they say in life – if someone has what you want, then do as they do, so this RUSHFIT training program is a must if you are a big GSP and training fan of any kind who wants to be successful in life. Genuine MMA focused conditioning – Now of course MMA conditioning training varies across different gyms/weight classes/trainers etc. But this RUSHFIT system while it can’t teach you how to be a fighter, because that’s really up to you, but it can certainly get you in fit GSP style ripped shape – helping you build the physical tools needed in order to step into a Martial Arts bout at any level of competition. 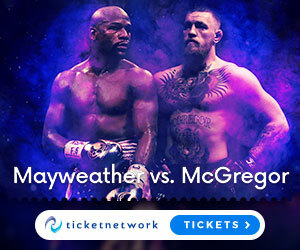 A lot of content for a great price – I mean seriously you are getting over 550 minutes of DVD content, great looking box-set, as well as giving you effective nutritional guides and training schedules so you can understand and start living the lifestyle of a professional fighter ready for any contest that is put before you! Fantastic Guarantee – A satisfaction guarantee is much better then a standard guarantee, because this simply means that if you aren’t happy with the RUSHFIT program then you can get a full refund if you want for as long as 60 days! A lifetime satisfaction guarantee is impossible for any product, but having a 60 day one is still really good! Mixed Martial Art (MMA) pro Georges St-Pierre’s RUSHFIT training program offers fast, efficient series of workouts designed to give you maximum results in minimum time, which is great if you are always busy on a tight schedule – you can just put on a DVD as and when you need a quick burst of training. Total-body, MMA-style conditioning circuits led by one of St-Pierre’s trainers Erik Owings which challenges you from head to toe while building muscle mass and burning fat. Fitness regime consisting of seven high intensity workouts on six DVDs, giving you everything you need to get in genuine fight shape. The set comes with two training guides to help you manage your nutrition and schedule of training. The DVD series focuses on six primary training areas: Strength, endurance, core stability, power, flexibility, and balance and agility all of which you will need to be a successful fighter or athlete in any sport to any capacity. The 60-day satisfaction guarantee, really gives you an opportunity to test the system, see the results and keep it, or if your not satisfied you will get a full refund. The results really will speak for themselves, if you are an athlete already you will enjoy the system and just have a great addition to your own great training – or if you are out of shape, but determined to change then this RUSHFIT system really will get you to an athlete level in no time! Learn how to build muscle, cut weight and get into shape safely all from the comfort of your own home. Really nicely designed box-set with great visuals. This training program can be used by men or women alike and body shapes of all sizes to help get you to peak physical condition. I would have really liked a secondary mini box-set included or available to buy separately, which would cover GSP’s actual martial arts techniques he uses in MMA bouts – but I guess he didn’t want to give too much insight into his style for potential future opponents, or to offend any of his technical trainers which is understandable. The whole thing feels a bit gimmicky, but I have too much respect for Georges St. Pierre as a fighter and a businessman to let any feelings like that linger. GSP shape is just round the corner! Seriously don’t look at GSP and think that the phenomenal athletic shape he is in is impossible for you to achieve – yes of course genetics plays a factor in how athletic you are naturally, but anyone can improve their Strength, endurance, core stability, power, flexibility, balance, agility, diet and training schedule. So if you want a UFC Training DVD that can get you into true GSP shape, or as close as humanly possible for you, then this RUSHFIT Georges St-Pierre 8 Week Ultimate Home Training Program is exactly what you need. If you would like to get yourself this box-set right now, or if you know someone who needs to get into supreme physical shape for an athletic contest especially martial arts of any kind then you can order this box-set right HERE. I hope you have enjoyed today’s post, so please like, share, subscribe and if you have any questions, comments or feedback about your own experience with the RUSHFIT training program then please post in the comments section below. Hey Marley, your article was awesome. I’ve never been much of an athletic person but I can respect those who are following those who are fitness experts. George St. Pierre looks like a really renowned individual in MMA and program would no doubt benefit those who are lacking as far as exercise and whatever. If I was going purchase to George’s product then I would not doubt feel like I was getting my money’s worth. Good job! Hi R.J. glad you like the article! Even though your not into fitness now, you might start increasing your fitness through visiting the Gateway 🙂 But yeah GSP is creme dela creme of MMA fighters in MMA history, the guy is a two division UFC Champion and still has the most Welterweight title defences in the companies history. If you don’t train much at the moment, do you like computer games? You might like this one! hurraaaa, one of my best read posts. How does one feel when one is in good shape? You ultimately feel on top of the world not even especially when you have access to such an amazing training kits as does George St. Pierre. Keeping the body in good shape is second to none especially having tools that scans through the whole body and helps in muscle building. This for real will culminate into better performance and outstanding results. Keeping fit is my hobby, I love training, I love massivee body mass and built muscles. Thumbs up peeps. Ride on. Hey Olonisakin, yeah your right man, consistent training really does make you feel amazing like you say especially when you have the right supplements and training equipment/regimes like GSP. The Rushfit system is very effective to stay in shape, so give it a try sometime. Also ave you tried this protein before? I like it, great after a workout. Thanks for the thumbs up bro!